The Consumer Protection Act was passed in the Indian Parliament in 1986. The act came into operation on 24th December 1986 to protect the consumer from products or services that have not been delivered as promised or for any other grievances that the consumer might have against the manufacturer of goods or provider of services. The act is protected by the Central Government and is maintained by the Ministry of Consumer Affairs. The Minister of Consumer Affairs is the de-facto chairman of the Central Consumer Protection Council. 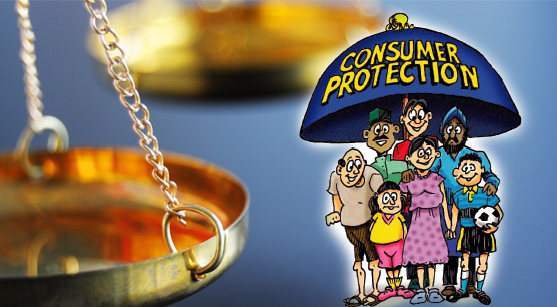 The Consumer Protection Act 1986 provides relief to the aggrieved consumer in three distinct levels: the District Consumer Disputes Redressal Forum or the District Forum, secondly, the State Consumer Dispute Redressal Commission or the State Commission and the National Consumer Disputes Redressal Commission. The three agencies have very well defined jurisdiction over the cases that it can handle. The District forum can hear cases which has a value up to Rs 20,00,000.00 (Rupees Twenty Lakhs Only), the State Commission can hear cases up to the valuation of 1,00,00,000.00 (Rupees One Crore Only) and the National Consumer Disputes Redressal Commission will hear cases above Rs 1, 00, 00, 000.00 (Rupees One Crore Only). 1. The consumers have a legal right to be protected from the marketing of any goods, which are harmful to life and property. 2. The consumers have the legal right to know about the quality, quantity, purity, potency, standard and price of goods and services. With this know-how, consumers can protect themselves from unfair trade practices. 3. The consumers have the legal right to have the assured access (if and when it is possible) to different goods and services at competitive prices. 4. The consumers have the right to be represented and heard with due importance in appropriate forums for the sake of protecting consumer interest. 5. The consumers have the right to file for compensation against unfair and restrictive trade practices or consumer exploitation. 6. The right to consumer education. 7. The right against consumer exploitation. The Consumer Protection Act provides for a consumer to just walk up to the consumer court and ask for damages without an advocate. It is not something advisable for people without basic understanding of the law. Remember the company that you have filed a case against will always have an advocate ready to defend itself and chances are less that an individual consumer with very little or no knowledge of the concerned law will win his/her argument forcefully against someone, who is especially trained to do so. Therefore, make sure you consult an advocate or even better hire one and make him aware of the situation. There will be a lot of advocates ready to take up your case and fight it towards conclusion. The fight to get justice against a large multinational might seem impossible, but with the right advocate, the impossible can be achieved and you will get the justice you deserve.